On Saturday, February 24, more than 20,000 Israelis gathered alongside African refugees in Aviv to protest the government’s plans to deport asylum seekers and to indefinitely imprison those who refuse to leave the country. 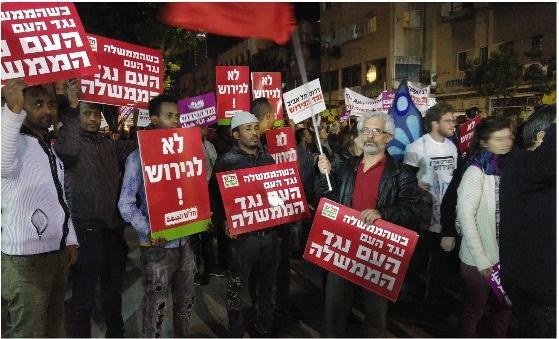 The protest took place in south Tel Aviv, where most of the city’s asylum seekers reside. Hadash MK Dov Khenin (Joint List) and a number of those slated for deportation addressed the crowd as did some of the area’s Israeli residents.